Well, I know we usually tend to search for indoor activities due to those annoying rainy days but since UK has turned into ‘HOTLAND’ what about an option to hide from those melting temperatures?! 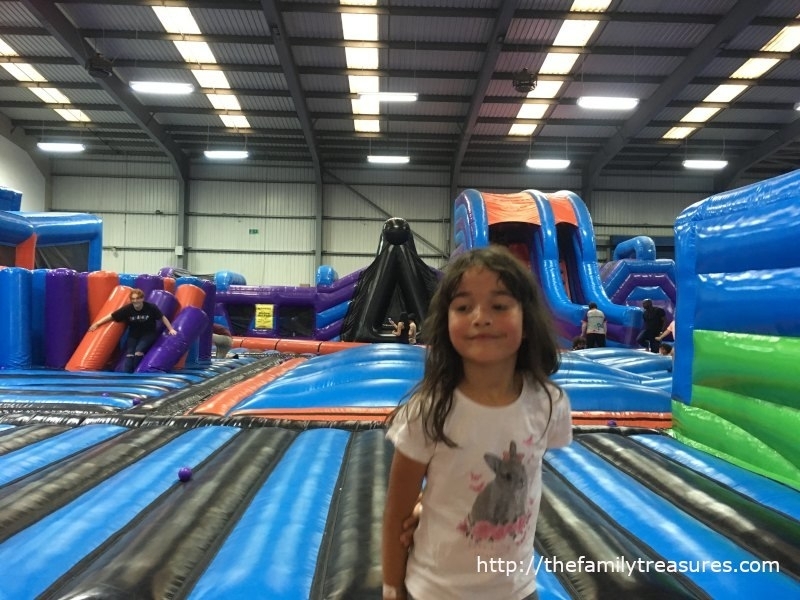 A few days ago we had the chance to visit Inflata Nation in Trafford, Manchester. 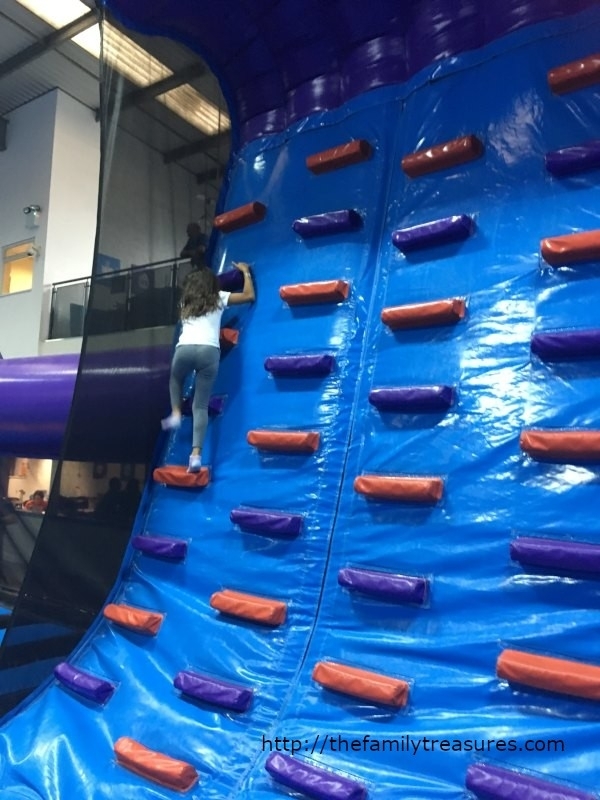 It was our six year old’s last day of school and what a better way to start the summer holidays than bouncing, sliding, climbing and jumping all around in this incredible place. As usual in this type of parks you need to sign the waiver first, one for each person who is going to participate. Don’t worry if you don’t get to print one at home since they have plenty of those forms right at the entrance. Right after that you need to wait in the line for your session to start. Once the other session is over you can enter the park and start burning those calories. 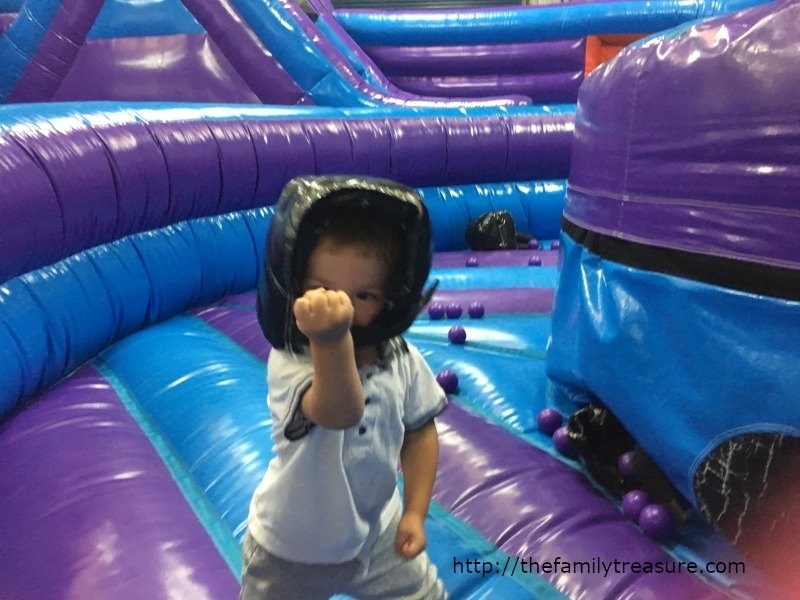 You may think this is a perfect occasion for your kids to have fun while you get a little break. 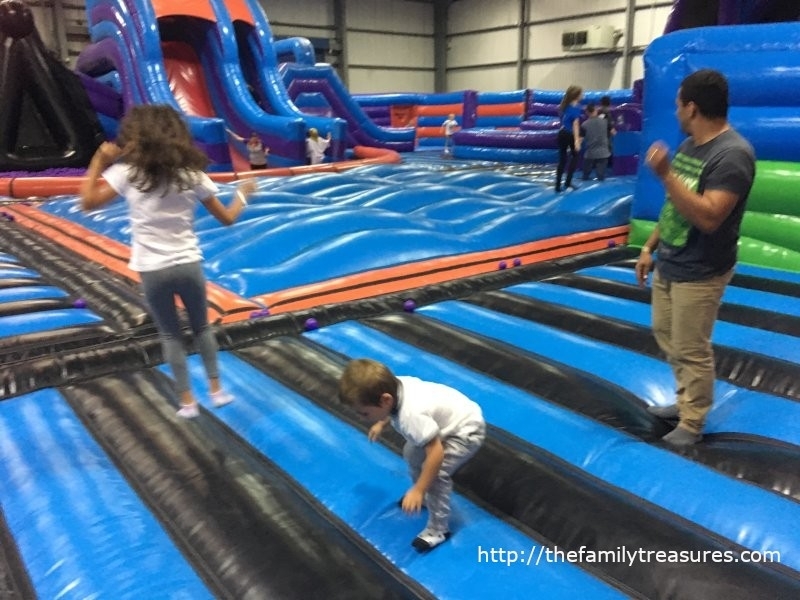 You may even want to stop by at their cafeteria and get some snacks, but trust me on this, if you don’t have any medical conditions that would stop you from bouncing, then GO WITH YOUR KIDS. You are going to have SOOO much fun being altogether! We had booked a 1 hour session and honestly, it just flew away! 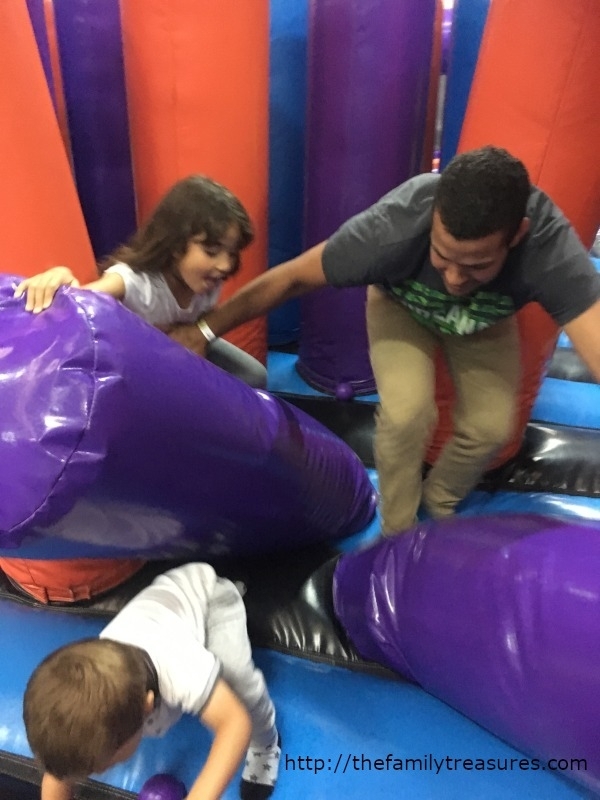 One minute I was trying to go up the big red slide and slipping and almost smashing my little girl, -lol- on the next minute we were all bouncing up and down. After a lot of excitement our 2 year old needed to be in a quieter place. That’s when their under 4’s area worked perfectly. He still got to enjoy himself and be quite amused with all their options but he wasn’t in risk of being squashed by an older kid. We stayed there for a little while and then went back to the big arena. We finished our day out with some lovely slush, that actually wasn’t pricey at all. 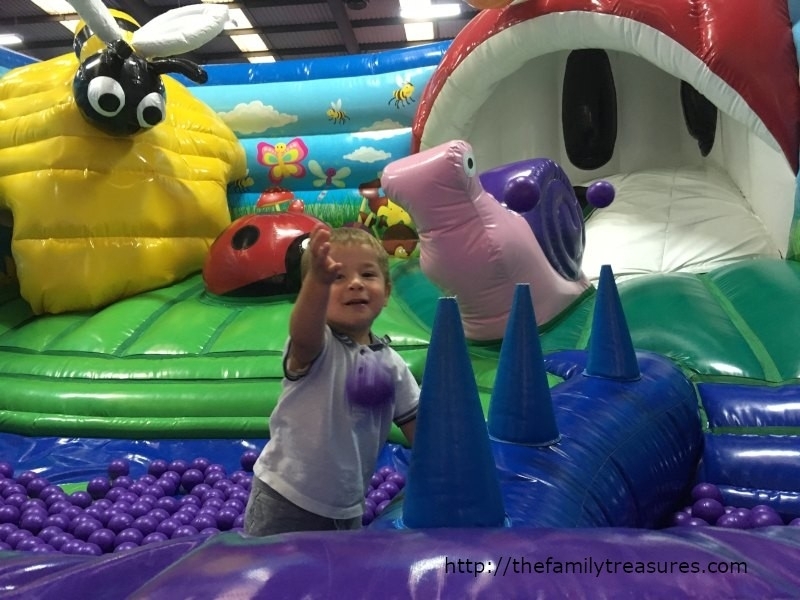 So we would definitely recommend the whole experience to a family with young children, or even with older ones. There are plenty of options to have a great time. 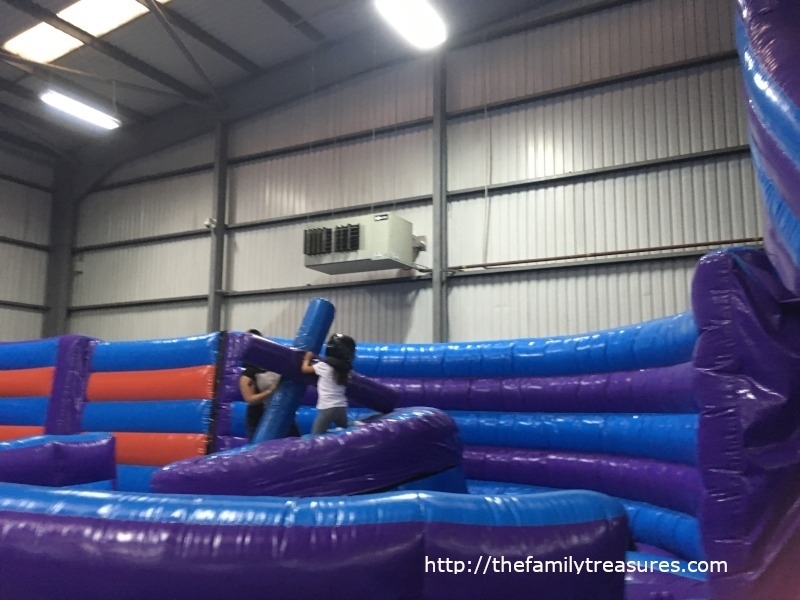 Since we like sharing all this fun we thought ‘wouldn’t it be great that Inflata Nation gave us a discount code for our lovely readers?! (*) The code is valid from 10th August-10th October 2018.